Is Botox® Painful? Here’s What to Expect! Sometimes the saying “Beauty is pain” couldn’t be more true. How many times have you nicked yourself while shaving? How many blisters or rolled ankles have you got while wearing those high heels you love? Or which hand holds the scar from your curling iron? So when you think about getting Botox® injections, it’s safe to assume there will be pain associated, right? Well, let’s not get ahead of ourselves. After all, we have proven that enhancing your smile doesn’t mean painful dental experiences. Our cosmetic dentists in Cenntenial, CO want to answer the common question “Is Botox® painful?” by laying out exactly what to expect in this blog. Botox® contains botulinum toxin, which when injected into your skin, relaxes the underlying muscles and soothes out the overlying skin. This blocks the signals from the nerves to the muscles so they relax and soften instead of contract. Most patients choose Botox® treatment to reduce the appearance of wrinkles such as forehead lines, crow’s feet, and lines around the mouth. Botox® is also used as a preventative method to stop wrinkles from getting bigger – the smaller the wrinkle, the less Botox® needed. In 2017, botulinum toxin treatment was the #1 cosmetic treatment in America. Botox® can also be used as an alternative treatment for TMJ (temporomandibular joint) disorders and associated jaw tension and pain. When injected into facial muscles afflicted with soreness and discomfort, Botox® relieves the jaw tension for many patients. Botox® Cosmetic is FDA approved (since 2002) and has an unsurpassed record for achieving beautiful, lasting results quickly and safely. What is a Botox® procedure like? At Homestead Dental, we pride ourselves on being the best of the best. Botox® treatment is no exception. Meet with one of our cosmetic dentists to discuss your goals and examine your areas of concern. Schedule your appointment. This procedure only takes 15 minutes and is a perfect follow-up to other dental procedures like teeth whitening. The procedure will take place in the same chair you receive your dental care from. Before the procedure starts, we can administer a topical anesthetic to numb the injection area(s). After preparation, your dentist will inject Botox® with a tiny needle to the designated areas of concern. Post-procedure care is very minimal, and our team will ensure you are aware before you leave the office. Within 72 hours, you will begin to see a difference, with maximum effect by day seven. With topical anesthetic, a Botox® procedure can be virtually painless. Even without a numbing agent, pain is minimal, and you may only feel a little pinch. Injections are very quick and with a trained medical professional, you may not even notice when they happen. Many people associate pain with Botox® because of a fear of needles or bad memories of getting vaccines. But you will be happy to know that Botox® needles are tiny. In fact, they are about the same size needle that diabetics use to self-inject themselves with insulin. One common side effect of Botox® is minimal bruising, which can be tender but will go away shortly. Can Botox® help with pain? Botox® doesn’t just erase years of wrinkles from your face. It is FDA approved to help reduce pain from patients with headaches, migraines, or TMJ disorder. Botox® works to relax the tense muscles in the jaw or face that cause tension headaches and migraines. For TMJ sufferers, this treatment is particularly helpful because it keeps your muscles relaxed while you sleep, stopping you from clenching or grinding. Ready to reverse the hands of time? Want beauty without pain? Choose Botox® to take back your youthful appearance. Our experienced and well-trained cosmetic dentists can help you have natural-looking, beautiful results. 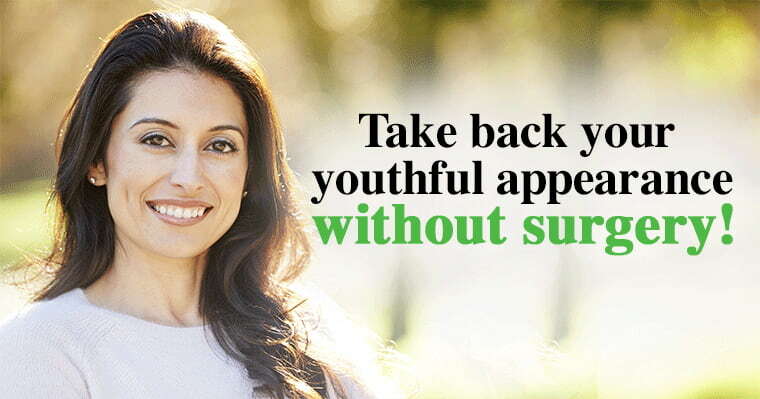 Contact us today to start your journey to a more youthful you.